Here's a breakdown of the three accessory kits on offer for the 2019 WagonR . . . 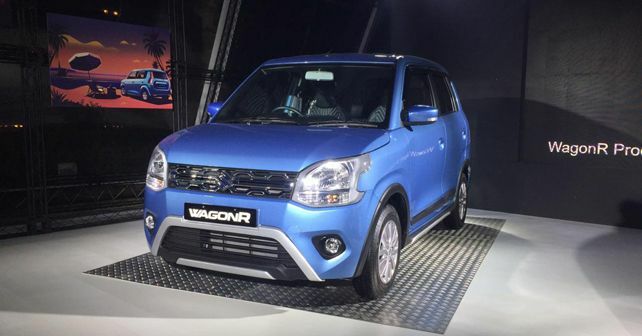 Sine the newly-launched 2019 Maruti Suzuki WagonR is aimed at a younger customer base, the company has gone on to include the WagonR under the ‘Genuine Accessories’ rubric. With the iCreate service, which Maruti unveiled with the launch of the Brezza, customers can now choose from three pre-designed accessory kits for their WagonR or create their own custom package through the car configurator available on the company's website. Here's a quick lowdown on the three accessory kits that are available exclusively for the 2019 WagonR. The first theme package, called the 'PLAY TIME', has been created for travel enthusiasts. The accessories available in this package include a front & rear bumper garnish, a front-grille garnish, custom seat covers, designer foot mats, an interior styling kit and side body moulding with colour inserts. The second theme package has been titled 'ROBUST', which makes use of more neutral colour shades and provides a more practical look to the car. Also, this is the only kit on offer here that provides an alloy wheel option for the WagonR – an accessory, which in our opinion, will be the most popular among new WagonR buyers. The accessories on offer with this package include front and rear bumper protectors, alloy wheels, a front-grille garnish, side skirts, wheel arch cladding, seat covers, designer mats and an interior styling kit. The third theme package, christened 'CASA', offers conservative styling additions without much alteration to the appeal of the factory-spec car. The CASA kit offers a lower front-grille garnish, seat covers, door sill guards, a rear bumper garnish, rubber mats, an interior styling kit and body side moulding. The above-mentioned accessories are available at all Maruti Suzuki dealerships across the country, at an additional cost.